Users in the Silent Hill subreddit have been discussing a "patch" that reportedly makes the P.T. demo unplayable for those who still have it on their PlayStation 4 console. 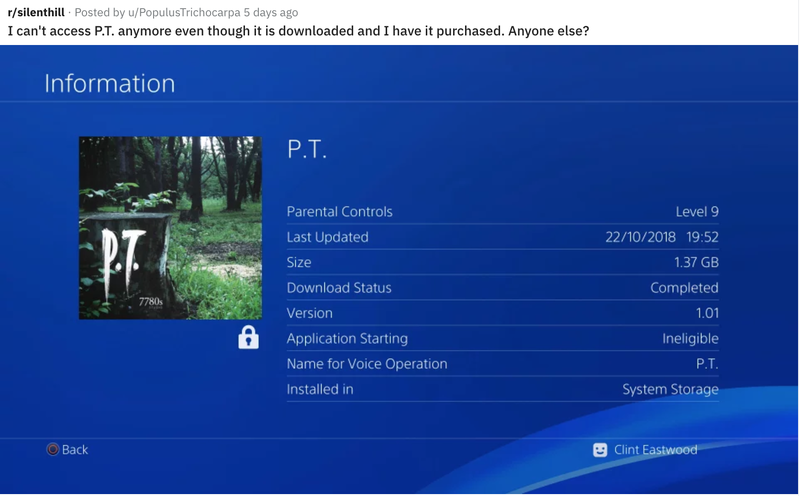 A user by the name of "PopulusTrichocarpa" took to the Silent Hill subreddit (yeah, convenient username) with an alleged screenshot of the P.T. demo and "Version 1.01" visible on the screen, claiming that the update had made it unplayable, but left the demo on the system. Oddly enough, no one in the comments could validate that the game wouldn't run for them, or that they had received any sort of update that "bricked" the game. This could very well be a Halloween hoax meant to rustle folks' jimmies, but if it even held a modicum of truth to it, it would certainly be a chilling tale for Halloween – or any time, for that matter. 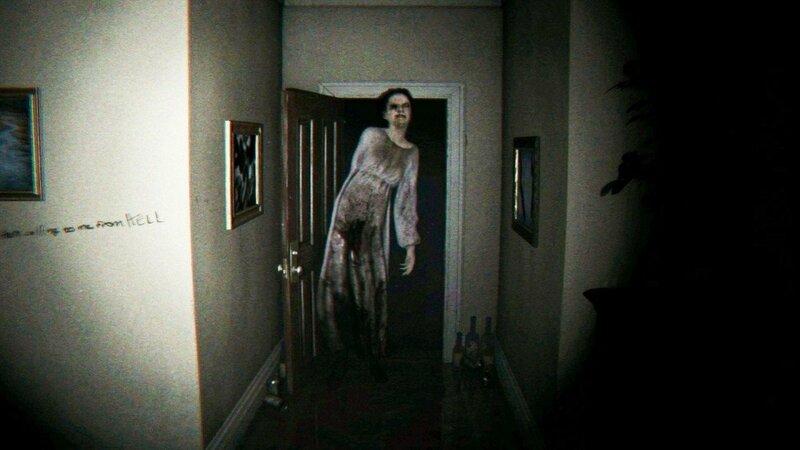 After unceremoniously canceling Silent Hills and yanking the fantastically creepy P.T. from the PlayStation Store, Konami angered fans all over the world eager for a new entry in the series from Hideo Kojima, of all people. Cue everyone freaking out on the internet, myself included. I know that my own personal copy of P.T. is functional since I played it today, and there's no sign of an update for me. Several Reddit users share this same sentiment, and it doesn't look like there's been a single other person to corroborate the story yet, but it's spreading like wildfire across the internet. We'll be sure to let you know if anything concrete happens. For now, guard that demo with your life.